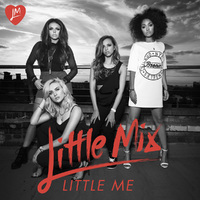 Little Mix this week release their new single Little Me. The X Factor 2011 winners take it back to the 90’s with this song which is accompanied by a black and white video. The song is a smooth rnb style song which showcases their vocals and harmonies very well. This song so far is top 15 in the itunes chart. It wouldn’t surprise me if it did crack top 10 but with the album being out now for a good few months I do expect this song to easily chart inside the top 20.